See also: Our full Google sheet listing idols found (and played) by season. Complete through Edge of Extinction, Episode 10. Click contestant name/picture to view their contestant page. *Used a Legacy Advantage, which when played acts as an idol. #Dan's second idol was played correctly, and would have voided 6 votes (giving him 8 total), if not for the idol nullifier. - Players are ranked by idols found, then by idols held, then by idols played, then by votes voided. - We only listed people who actually played their hidden idols. Sorry, Yul. Doubly sorry, James. *Special note: Since Gary Hogeboom played his idol in Guatemala before the votes were cast, it was impossible for him to void any votes with it. IF: Idols found. In cases where multiple people find an idol together (Nicaragua, Caramoan, etc. ), the person who keeps it gets credit for finding it. IH: Idols held. Generally only relevant if someone is given an idol by someone else (such as Russell from JT in HvsV, Sash from Marty in Nicaragua). IP: Idols played. (Newly revised, 8/19/17) In response to comments in Shirin Oskooi's guest post at PRP, we've changed our criteria here. 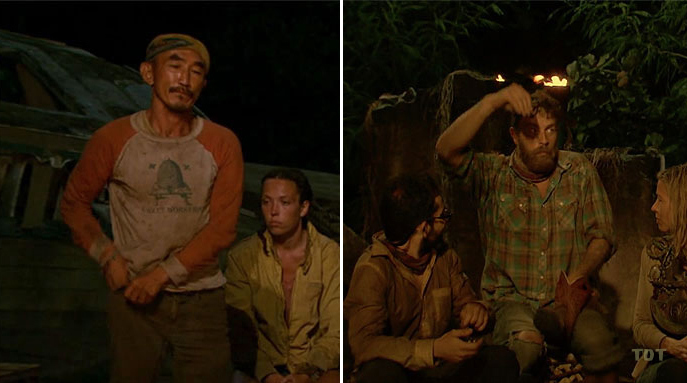 The credit for playing (and voiding votes) should go to the person who first reveals the idol at Tribal Council, whether they hand it to Probst themself, or hand it off to someone else, who then plays it. Idols handed off at camp, however, become credited to the person wielding them at Tribal. So when Russell hands over JT's idol to Parvati (in camp) in Heroes vs. Villains, he and JT have both relinquished their claim to that idol. In contrast, Malcolm gets credit for both idols played after handing Eddie his extra idol at the Three Amigos Tribal in Caramoan.